Conferencing in peace. And with all comfort. Do you come together exclusively in a small circle? Or would you rather meet with a large number of participants? The right place to find you also far away from the well-known city centers – and away from the ordinary. For example in our house »Zur Krone«. 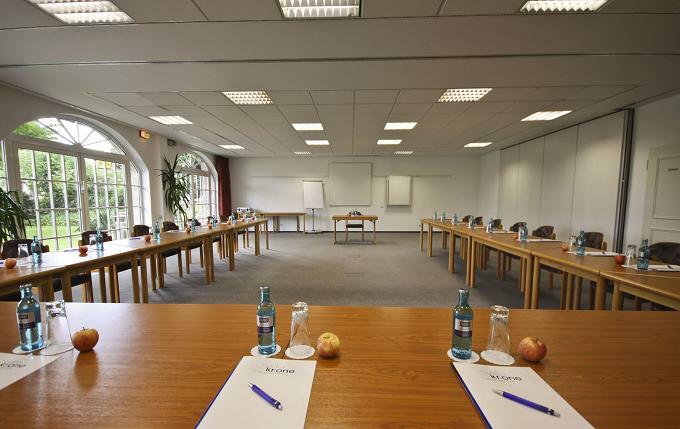 Discover a professional conference environment with all the comforts, the latest technology and exceptional qualities. 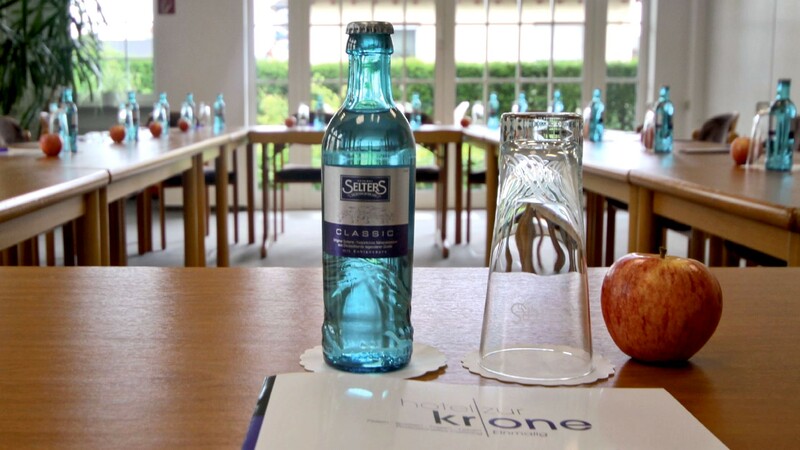 Located in the heart of one of Hesse’s most beautiful regions, we put together the entire range of services for a successful conference. This includes the accommodation in comfortable guest rooms. The first-class catering by our ambitious kitchen team. On request, we also organize a coherent program of events for you. Because our region offers space for uniquely versatile activities. 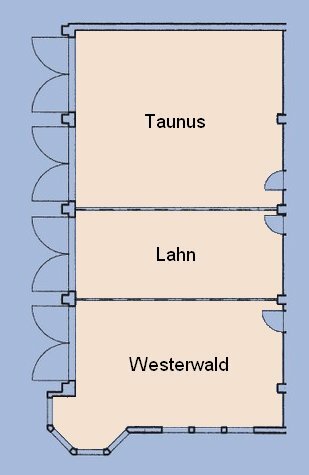 Your advantage: Thanks to the direct connection to the B49 (connection to the A3 / A5 / A45), you have first-class transport links to the Rhine-Main area and the conurbation of Cologne/Bonn. Everything you need for a conference. 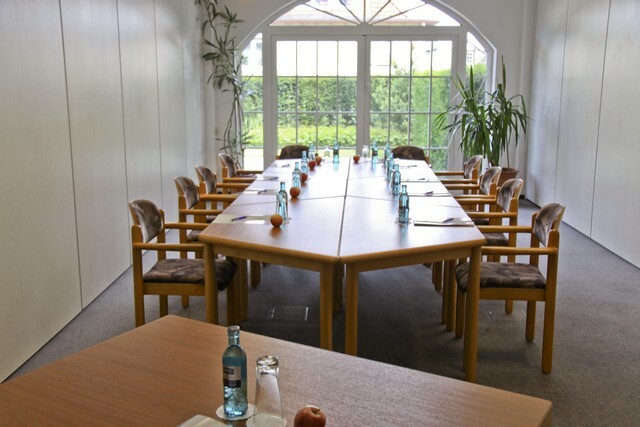 We ensure an effective working atmosphere – and make your meeting a successful day. 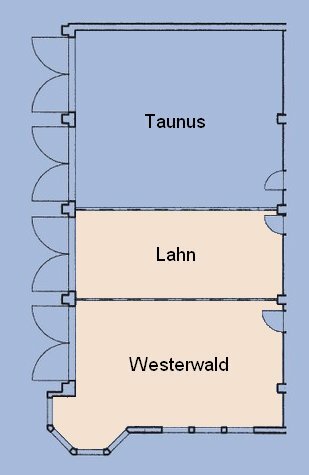 There are three functional and freely combinable rooms (Lahn 40 sqm, Westerwald 60 sqm, Taunus 90 sqm). 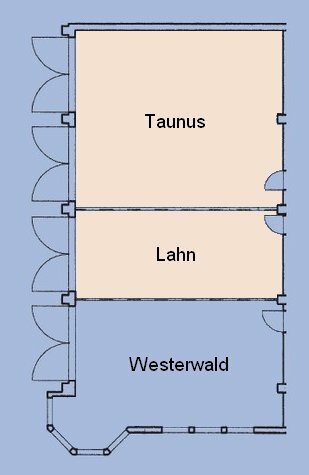 Another three rooms (Preussen, Nassau and Kaminzimmer) can be used separately. Enough space for 6 to 60 people and equipped with the latest equipment such as W-LAN, fax, telephone, lighting, sound and presentation technology. For larger events you can also use our external partner locations. Conference flat rate "Comfort Plus"
All day flat "Comfort Plus"
Make something special out of your conference. Does your day start with concentrated work? Then it best stops with an emotional experience for all participants. With music, cocktail courses, culinary actions and much more. we like to round off your meeting individually. Our covered summer garden invites you to enjoy small conference breaks outdoors. It is suitable as a meeting place as well as for the construction of the buffet. And if you like to sit in the fresh air: our rooms in the basement have direct access to the outside area. Days with an empty stomach? Good food is part of every successful conference. Our kitchen serves a variety of culinary delights. Hardy and rustic. Or refined and ambitious. We do not confuse competence with anonymity. What sets us apart is the personal proximity to our guests and the warmth of a good host. 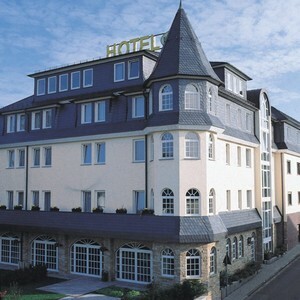 Therefore, we also take care of the comfortable accommodation of your conference participants. Find the right offer. Make the right offer. What does a successful conference actually look like? This question is certainly as important to you as it is to our team. Our experience shows that when participants feel comfortable, work out fruitful results, drive home with new insights and happy memories, they have achieved a lot. Exactly why our team laces a coherent complete package, individually for your event. 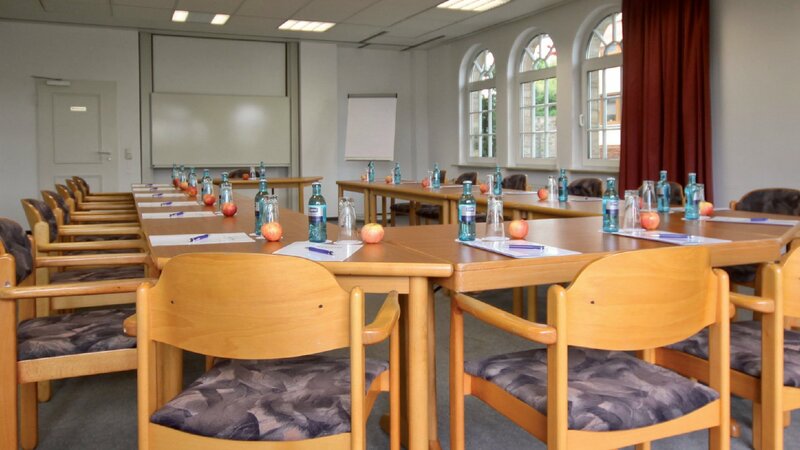 With additional services such as decoration, catering, personnel, security and our own shuttle service, we also create the perfect conditions for professionally and successfully staging conferences, workshops or meetings. Would not it be nice to be completely stress-free? We take care of the complete organization and execution of your event and the care of your participants. Let us talk about your next meeting as soon as possible!